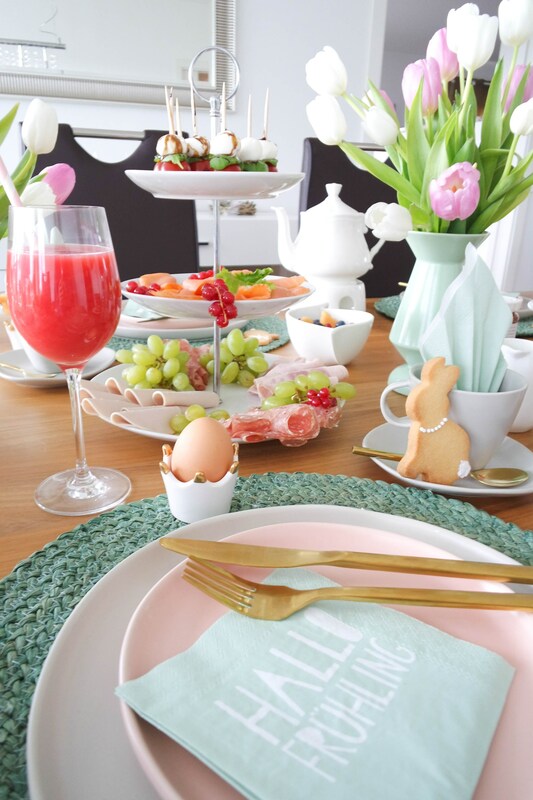 Looking for ideas and tips for your Easter brunch table decorations? We have some really helpful ones for you, so this is the post that you should not miss. 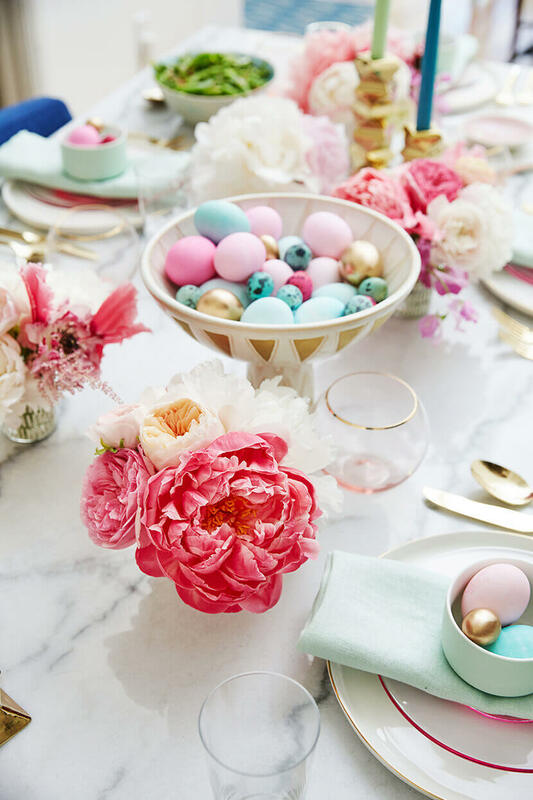 Spring is the best time for colorful floral tablescapes, and Easter is the perfect occasion for a beautiful presentation. 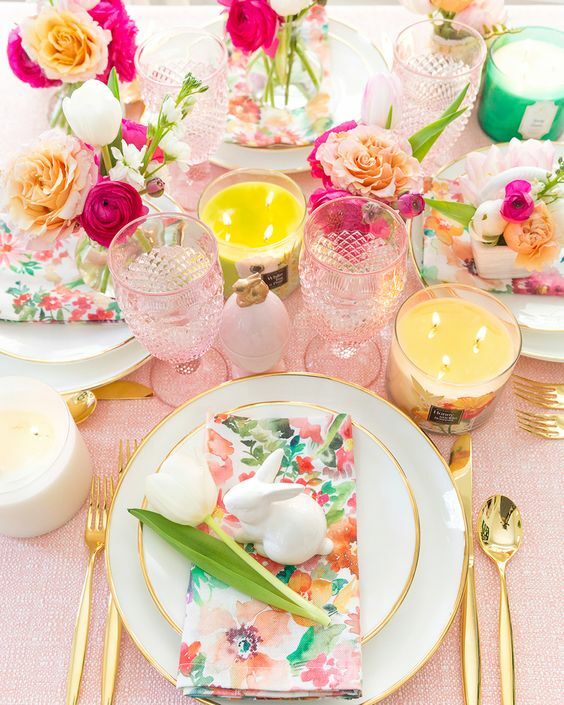 Trust me, you don’t need to be a pro in order to create the perfect tablescape. There are a few tips and tricks that will help you! Live thins bring cheer to the table. 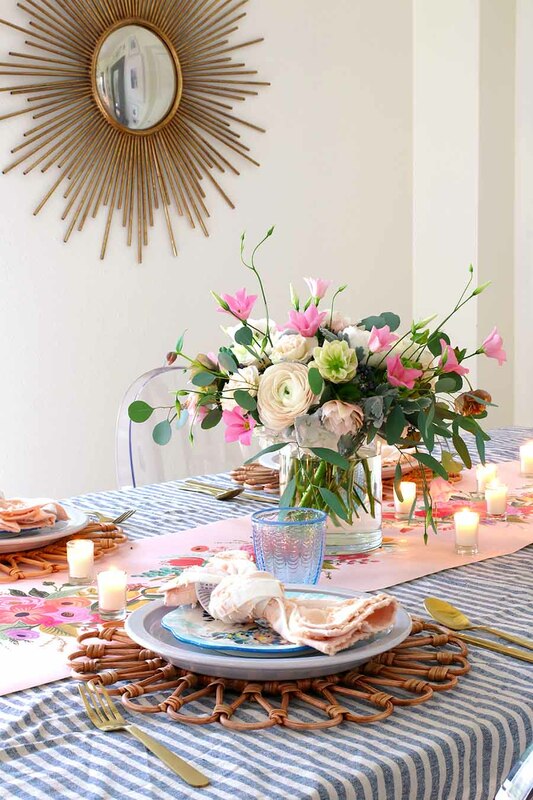 Do not forget that fresh flowers are so powerful, and can instantly brighten the table. Some freshly picked spring’s favorites will do magic for your brunch. But, do not limit your choice to flowers only. 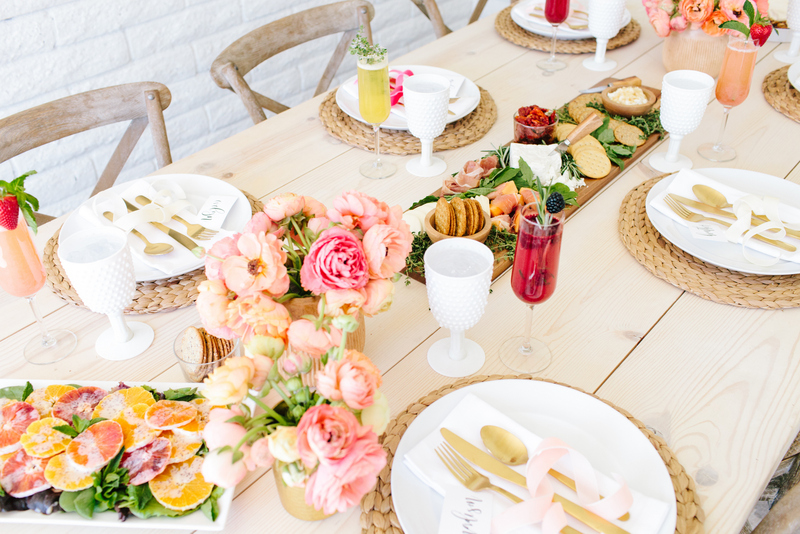 Feel free to incorporate fresh fruits as a part of your arrangement. 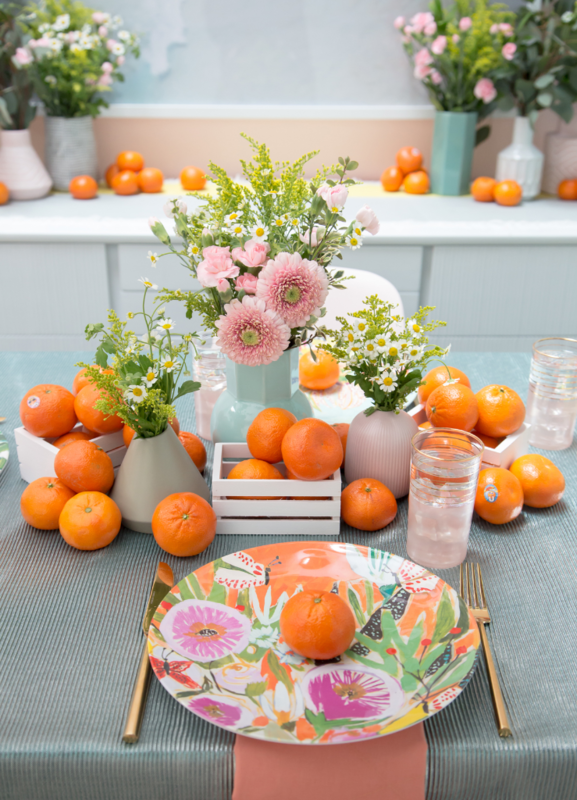 Fruits and flowers can even work together in creating a fantastic atmosphere! 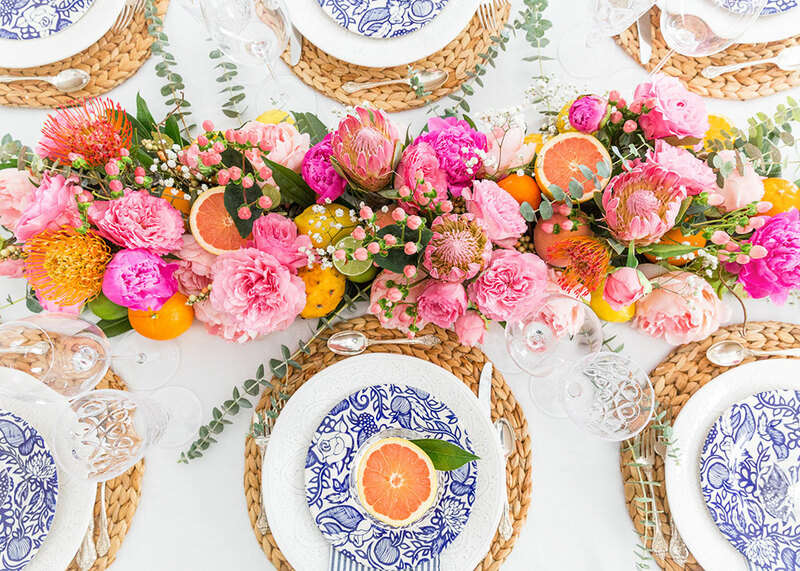 Trick: Want your flowers to last more than the Sunday brunch? No problem, just add a little bit of vinegar in the water. Also, add some sugar so that the flowers will have something to feed on. 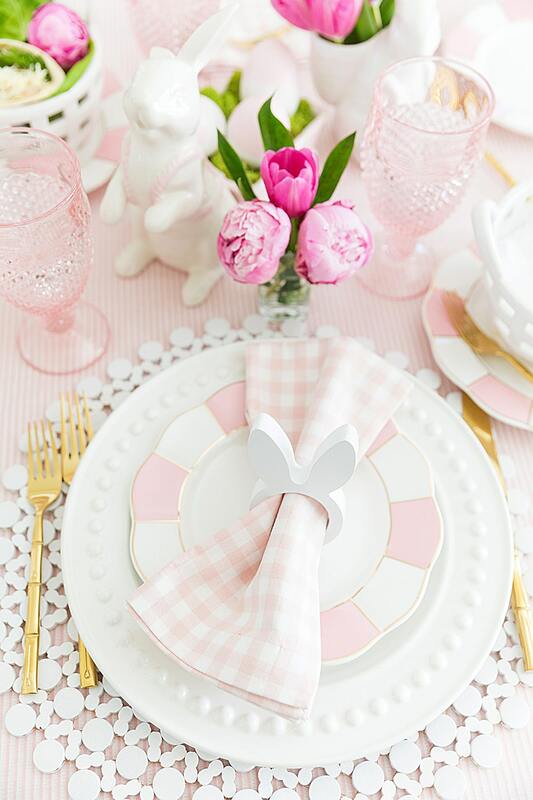 Don’t you think that these tablescapes are so visually pleasing when you look at them? 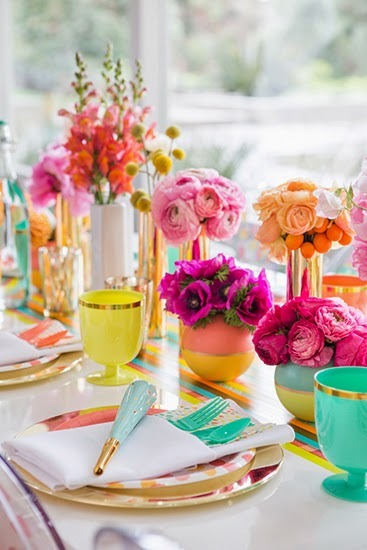 This is done by incorporating a certain color scheme. Notice how the colors are evenly distributed and well matched. You can use a whole range of pastel colors to achieve the effect. As you can see from the examples, peach and muted pink work well together. For a final touch, add some texture. This is the little trick that pros use to elevate the decor to a whole new level. 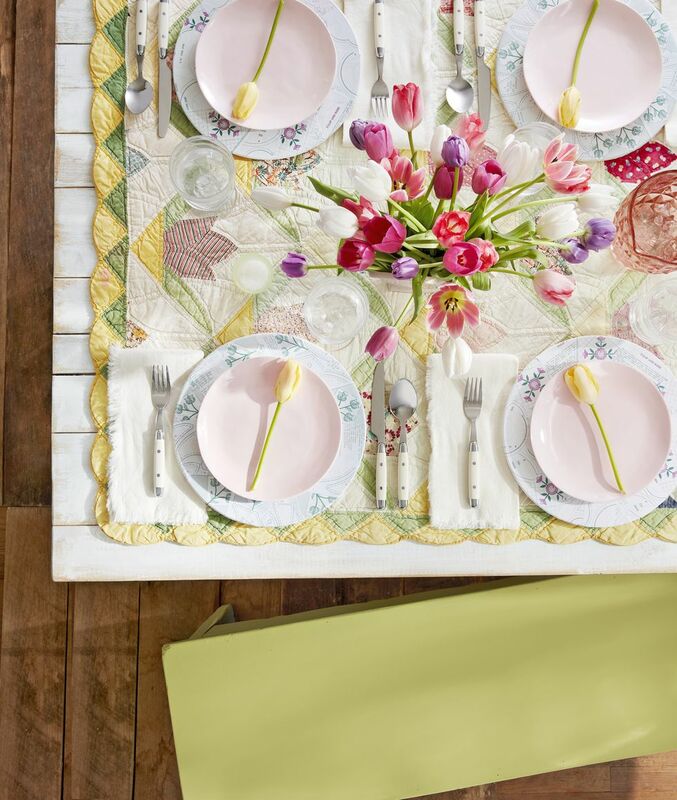 The easiest way to do this is to add woven placemats. 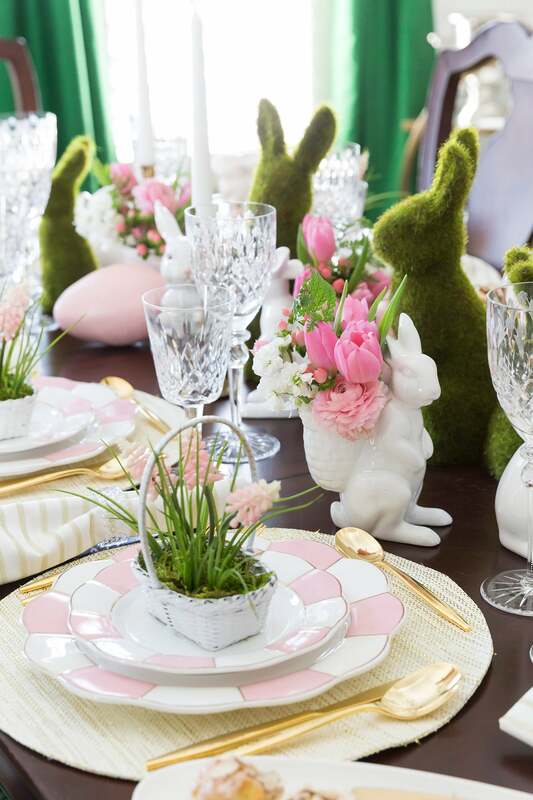 They look so cozy and will complete the tablescape. If you are not into spending money on decorations, a batch of cookies will save you. Make sure that you get your bunny-shaped cookie cutter on time! 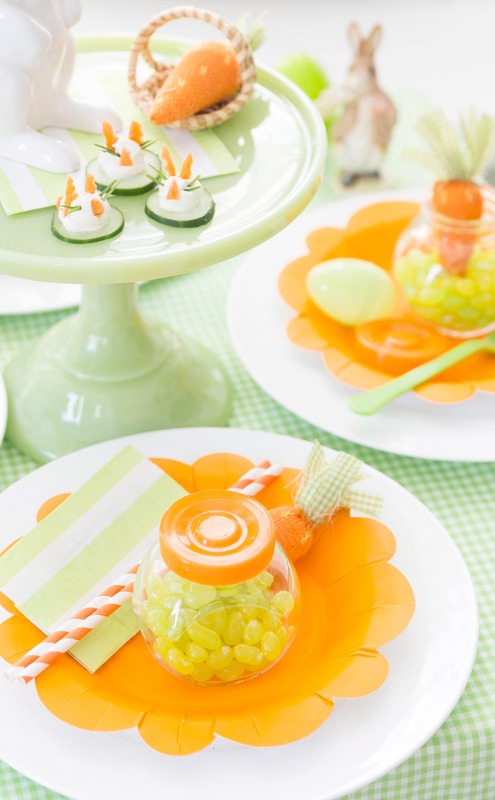 Decorate your bunny cookies and place them along the table setting. The only disadvantage is that kids will get their hand on them immediately. 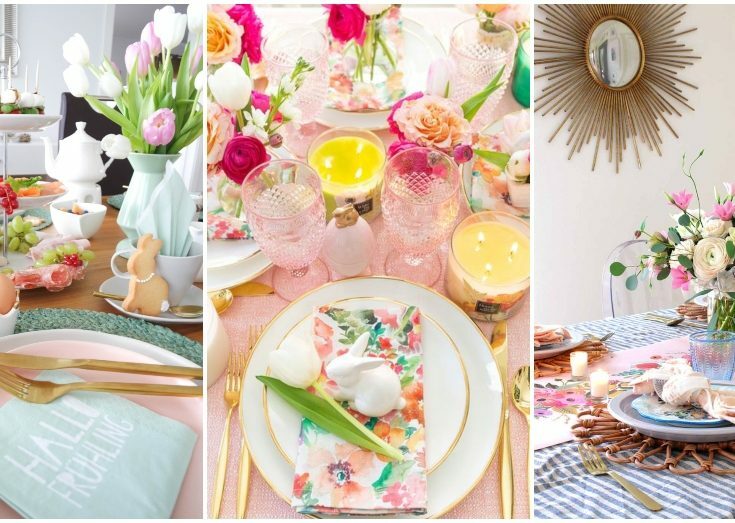 Yes, I know that styling your Easter brunch table seems hard, but these tips will help you get the idea. You can easily copy them, but feel free to get creative and spice things up!